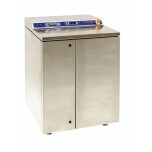 The Hydrogen G200 bench-top stackable generator utilizes Proton Exchange Membrane (PEM) cell stac.. The Hydrogen G400 bench-top stackable generator utilizes Proton Exchange Membrane (PEM) cell stac.. The Hydrogen G600 bench-top stackable generator utilizes Proton Exchange Membrane (PEM) cell stac.. 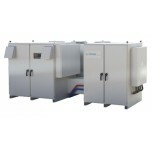 The S Series hydrogen generation systems produce up to 1.05 Nm3/hr (40 scf/hr) of ultra-high puri.. 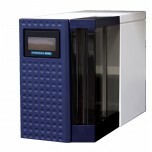 The Hydrogen Generator G4800, laboratory-sized is designed for multiple GC FID and carrier ga.. The HOGEN® H2m Series hydrogen generation system produces 2 Nm³/hr (76 scf/hr) of ultra-high .. The HOGEN® H4m Series hydrogen generation system produces 4 Nm³/hr (152 scf/hr) of ultra-high.. The HOGEN® H6m Series hydrogen generation system produces 6 Nm³/hr (228 scf/hr) of ultra-high.. The C10 Hydrogen Generation System produces 10 Nm³/hr by utilizing Proton Exchange Membrane (.. The C20 Hydrogen Generation System produces 20 Nm³/hr by utilizing Proton Exchange Membrane (.. The C30 Hydrogen Generation System produces 30 Nm³/hr by utilizing Proton Exchange Membrane (..